Our family has a tradition we have enjoyed for years. 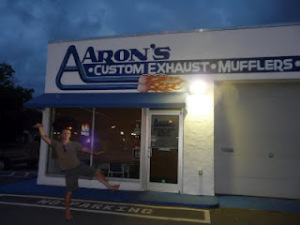 Whenever we find a business or a sign which has one of our names, we will stop whatever we are doing and take a picture in front of that sign. I’m not sure when we started it but I’m always on the lookout. All across the fruited plain, if I spot one of our names, I grab the camera and capture the moment. Yes, it has annoyed “certain” family members but that doesn’t stop me. We took these pictures during a camping trip through Maine and Pennsylvania. 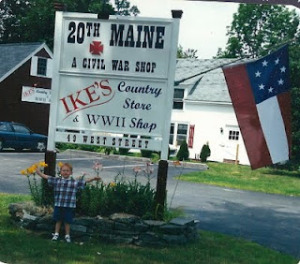 We will never forget the time spent in our pop-up in Freeport and Bar Harbor, Maine. 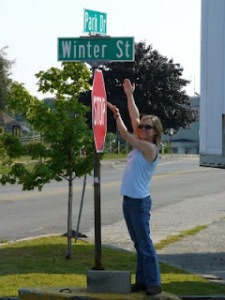 When the Hubs and I returned to Maine for our 20 wedding anniversary, I just had to stop by this street sign! During A-Day weekend, I stretched the rules a bit and had Ike stand by this sign since it was made just for him. For your information, yes, Isaac was really excited to do this-NOT! And then, despite a broken foot, I prodded the Hubs to make a weird turn on a busy street just so I could hop out of the car and get this picture of my mom and I in front of this restaurant in New York! 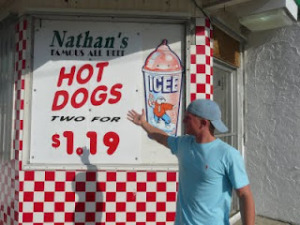 Of course, I also couldn’t pass up this sign near Philadelphia when we went to see Nate and the Army/Navy game. 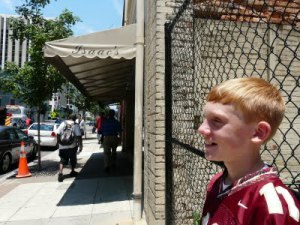 This summer in Raleigh, Ike paused for a photo-op at his hip-hop store in Raleigh. 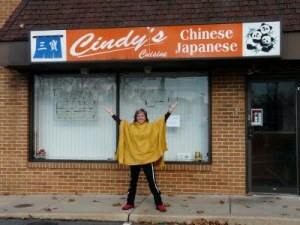 Who would have thought that a freckle-faced, orange haired 12 year white kid could be so enterprising and multi-cultural? 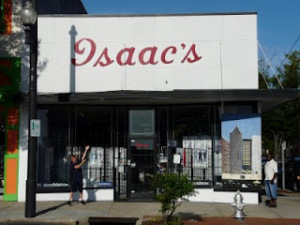 And wow, how cool to see that Isaac has branched out and now has a store in downtown Wilmington! You’ve got to check out Isaac’s hats and suit selection! Stop in and see for yourself! As we were returning back to our condo, despite a threatening thunderstorm, complete with dramatic bolts of lightning, I made Aaron stand by this sign. And I guess we got our oldest OS on a good day because after miniature golfing at Carolina Beach, I was able to successfully coax this pose in front of THIS sign! For days I had been begging for a picture and when he finally said yes, I leapt in the Equinox for joy! You gotta love it! What are some of your family traditions? I’m always looking for new things to make memories and create family identity. I love this! A name for everyone! How entertaining.